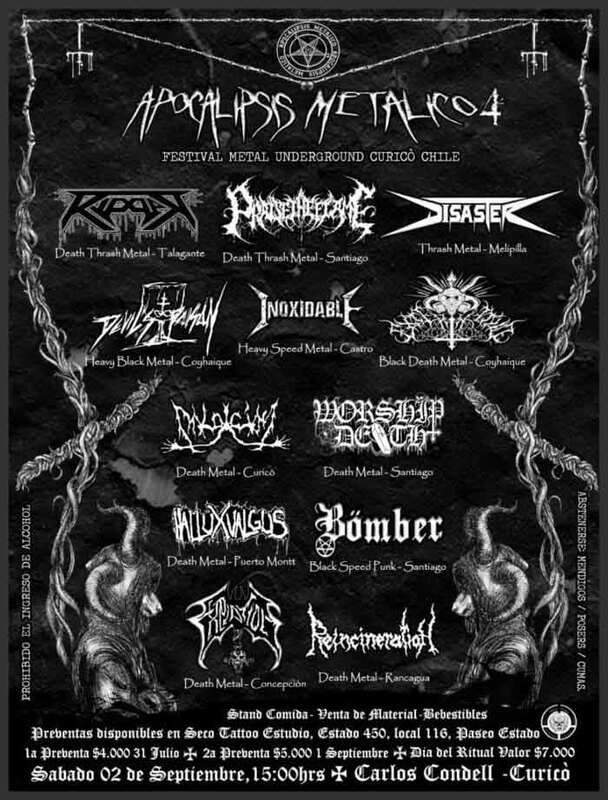 Chilean death/speed metal band Ripper announced on their Facebook page that they will be headlining the Apocalipsis Metalico 4 festival on September 2nd in Chile. Chilean Hessians should check them out as Ripper are an aggressive, cosmic speed metal force and their album Experiment of Existence was on of the best metal albums of last year. I will spend all my pocket money!! To travel to see them! !